ST. GEORGE — Simulation mannequins, or SimMen, are improving the training of the Intermountain frontline medical staff in Southern Utah. Sammy and Andy Mannequin live at the Learning Centers at Valley View Medical Center and Dixie Regional Medical Center and are subjected to rigorous procedures, intense situations, pokes, prodding and tests. They blink, lose the contents of their stomachs and even yell. Caregivers draw blood from their arms (albeit a very small amount) and assist as they give birth. 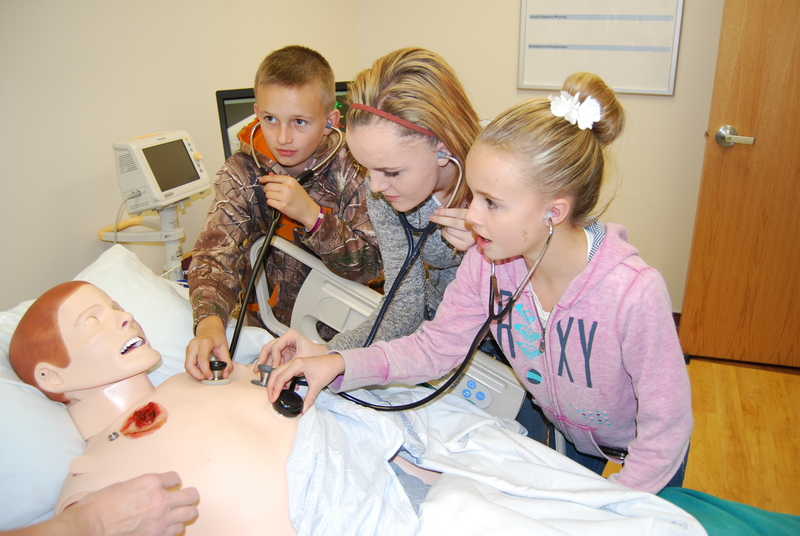 Valley View and Dixie Regional introduced Sammy and Andy in their education departments to provide dozens of lifelike training scenarios to clinical staff at the hospitals and in the community. These high-tech mannequins allow for advanced, hands-on training because of their ability to simulate everything from a closed airway, to a heart attack, a belligerent patient or a stroke. A control room with a one-way mirror sits next to the room where Sammy and Andy are kept, and a special computer is hooked up to them to carefully assess and monitor actions. The simulation facilitator sits behind the one-way mirror and, through a special microphone, can talk and even shout like a patient might through small speakers in the mannequins. The facilitator can open and shut the eyes, and mouths feature a realistic tongue and teeth, aiding in the realistic nature of providing lifesaving care. Unlike an actual patient, who might be unconscious or unaware of what lifesaving technique is being used, the mannequins feature hundreds of sensors that are able to record such things as how deep a chest compression was given and provide feedback to the student if they need to do more quick compressions or deeper compressions. Andy and Sammy’s significance at the hospital appears to be paying off for participants. The situational simulations mimic real life. There have been some trauma simulations where we can intubate the mannequins, put chest tubes in or needle them for a pneumothorax (where air leaks into the space between your lungs and chest wall). The nurses and participants don’t have to be hesitant and can be more assertive in their learning. Not all of the credit can be given to the SimMen. 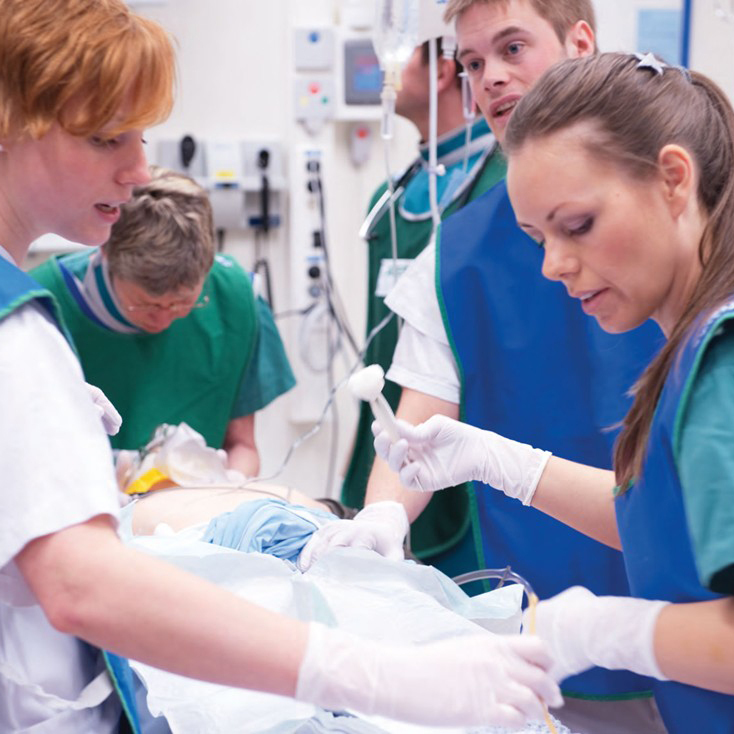 Combined, Dixie Regional and Valley View currently have 25 simulation facilitators and 14 neonatal resuscitation provider instructors, including four physicians. Facilitators are even taught moulage tricks to make the simulations more realistic. Moulage is a French term for the art of applying mock injuries for the purpose of training emergency response teams and other medical and military personnel. Sammy and Andy aren’t the only mannequins who are making a difference. There’s Manny, who can get intubated, a SimBaby who can provide practice for pediatric emergency care and a SimMom who can simulate giving birth. Holt said the goal for the simulation program is to get more clinical nursing staff involved. Local simulation programs will continue to assist and serve the community by creating safe and effective learning environments with the help of permanent residents Andy and Sammy.